We all know that bus transportation provides a more cost-effective, environmentally-friendly and time-efficient solution for travel, but if you’re thinking about purchasing a bus for the first time, you may not know where to start. 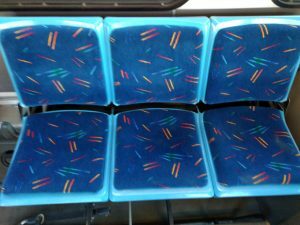 Should you purchase a new or refurbished used bus? Will a refurbished bus meet your long-term needs and requirements? To help you during your purchasing decision, we’ve outlined six benefits of refurbished used buses. Your important investment requires careful consideration of all options available, and at City View Bus Sales and Service, we take pride in offering friendly, knowledgeable and professional problem-solving for our customers from beginning to end. When considering a new or used bus, it’s important to first identify your budget. 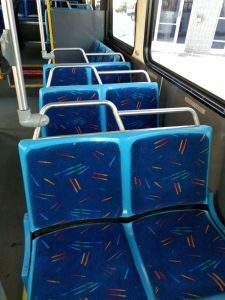 Used buses are typically a fraction of the cost of buying a new bus, however, this doesn’t mean that you need to sacrifice on quality. 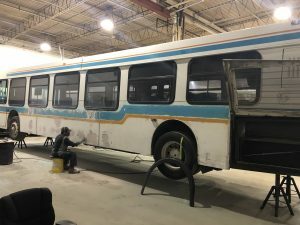 All of our used buses enter a robust Refurbishing Program and are thoroughly inspected to ensure they are in like-new condition before leaving our 40,000 square foot facility. New bus orders are fulfilled to custom specifications, meaning it can take anywhere from 9-12 months to receive your new bus. 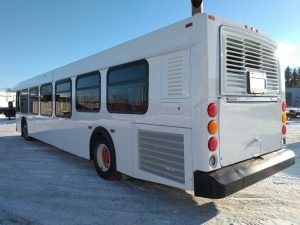 If you don’t have this time to wait for your order to be processed, a refurbished used bus may be the best option for you. 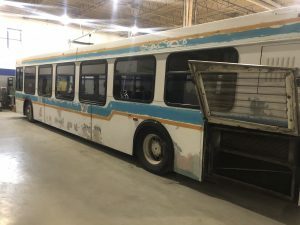 At City View Bus Sales and Service, our access to exclusive inventory means you can have your bus ready within 60 days, and in some cases, even same-day. As we know, buses typically hold the top position for the most environmentally-friendly mode of transportation due to the fact that they offer 208 miles per gallon per passenger, the highest among the methods studied. But what happens when a bus is discarded for a newer model? Is it still green to leave these vehicles to sit in a landfill? We think there’s a better solution. By refurbishing previously-owned buses, we’re able to continue to support community travel by giving these buses a new life on the road with trouble-free service. It’s important for you to consider your needs today, as well into the near future. Should your ridership numbers increase, will you have the budget available to meet rider expectations quickly and efficiently? By investing in a refurbished used bus, you are able to stretch your budget’s dollars and manage fleet age and size, all while keeping up with ridership growth. 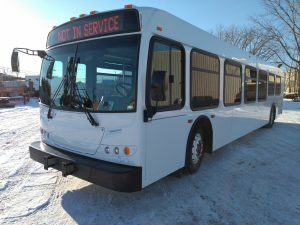 Since 1999, City View Bus Sales and Service has offered the widest array of bus models in Canada and is the leading provider of mid-heavy duty 30/35 ft low-floor buses in Eastern Canada. As outlined in this post, choosing a refurbished bus is a highly-economical choice for managing fleet age as it relates to ridership growth, but it’s also a great choice for managing the aesthetics of your fleet as well. When your fleet is clean, reliable and modern, your riders are more comfortable and more likely to continue using your service. After all, your bus is your brand. 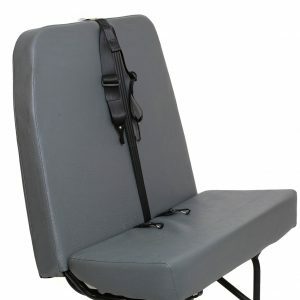 By refurbishing a used bus, you have the ability to make custom modifications to upholstery, flooring, technology, and paint; making your previously-owned bus feel on-brand and like-new. All this, delivered quickly and efficiently while saving hundreds of thousands of dollars. New bus purchases often require dedicated staff training and learning-curves to understand and operate new models, types and configurations. By choosing a refurbished used bus, you’re choosing a familiar operating system and configuration, reducing staff downtime and getting your fleet on the road in no time. Regardless of sector or industry, our mission is to provide all of our customers with the best expertise, buses and bus-related products that fulfill their wants and needs at the right price, the first time. Contact us today to find out how City View Bus Sales and Service can improve your organization and/or existing fleet with a high-quality refurbished used bus.